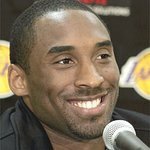 TakePart TV, the new impact-driven channel recently launched by Participant Media, has partnered with NBA superstar Kobe Bryant to create a five-part video web series focusing on the homeless problem in Los Angeles. Mission follows Bryant as he documents an honest and unfiltered account of challenges facing residents of Skid Row, the downtown Los Angeles area with the largest concentration of homeless people in the United States. Through Bryant’s personal and candid conversations with residents of The Los Angeles Mission, a nonprofit organization that cares for homeless people in the area, Mission highlights key social issues affecting millions of homeless Americans and how organizations are helping people regain their lives. “There has to be something else bigger than just yourself and what you leave out on the basketball court. You have to use that to affect change and affect change in a serious way,” said Bryant. In support of the issue, TakePart is encouraging viewers to take action by volunteering in their local area to help the homeless. “Kobe is a superstar on and off the court. We applaud his desire to bring attention to important causes he cares deeply about and we are inspired by his commitment to move people to act on the issue of homelessness in America,” said Evan Shapiro, President of Participant Media Television. This marks the third series to premiere on TakePart TV since the YouTube Channel launched in early October. For more information or to watch other top series, including Capitalism with Henry Rollins, American Savage with Dan Savage or the daily show Brain Food Daily, click here.